Whether it’s a conference room, data centre or any commercial application, eliminate system interruptions and keep your behind-the-scenes systems running 24/7. Compatible with several cable types, and suitable for any commercial application, Belden’s 6-Port Media Box helps you achieve flexibility and multi-side box access while eliminating the worry of downtime due to damage or room repositioning. Ensure data, voice, video and multimedia uptime to keep your guests coming back for more! For more information contact your local WESCO Branch visit www.wesco.ca/branches.htm or call 1.866.WESCOCA (1.866.937.2622) © 2015 Belden Inc. Rob Stevenson, RCDD/NTS Specialist Communications Division Manager, Guild Electric Ltd.
Head Office Annex-Newcom LP 80 Valleybrook Drive, Toronto, ON Canada M3B 2S9 Tel: 416-442-5600 Fax:416-510-5134 Toll Free: 1-800-268-7742 ext. 3546 (CAN.) 1-800-387-0273 ext. 3546 (U.S.) Editorial purpose Connections+ targets 30,000+ individuals who purchase, design, specify, install, maintain and test structured cabling, networking and telecom products as well as facilities management specialists and senior executives who are responsible for overseeing the implementation and installation of these initiatives. 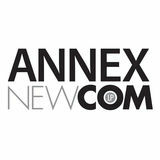 Connections+ is published by AnnexNewcom LP, a leading Canadian information company with interests in business-tobusiness information services. Postal information Return undeliverable mail to Circulation Dept., Connections Plus, 80 Valleybrook Drive, Toronto, ON Canada M3B 2S9. Canada Post Canadian Publication Mail Agreement No.40069240. Emails published should only be used to contact the company regarding their products. These emails are NOT CASL compliant. Products. Technology. Services. Delivered Globally. GAME ON EVERYWHERE NOW. Anyone can be a champion in the Networked Society. With mobility, games have become sports fields between continents and time zones, and during fiveminute breaks on the bus. New heroes, interactions and relationships are shifting the hierarchy of entertainment. Our technology and services enable change and change-makers around the world. The opportunities are everywhere now - take them! Ericsson is a trade-mark of Telefonaktiebolaget LM Ericsson, Ericsson Canada Inc. is a licensed user. Telus Garden continued from page 6. NEW Full Line Catalog This 300-page publication features several new product innovations and valuable information on Siemon’s high performance infrastructure solutions for todays data centers, LAN’s and intelligent buildings. Representing more than a century of Siemon expertise, this new catalog is the essential guide to the industry's leading commercial cabling, cable management, racks, cabinets, power and cooling products. emergence of new generations of technology is growing shorter and this phenomenon is especially apparent within the data centre. HOW WILL YOU SPEND YOUR LAST 10 YEARS? The average Canadian will spend their last ten years in sickness. Change your future now. Among the speakers was Inbar Lasser-Raab, vice president of enterprise products and solutions marketing at Cisco. By 2020, 70% of businesses will become fully digital, yet only 30% of those efforts will be successful. “When you think of self-driving cars and traffic control, there is a huge opportunity to drive fuel efficiency, avoid accidents and Doug Clare: People are going to have make traffic flow quick- to think about data and analytics in a ly. They are going to different way. come to pass and in a short period of time.” “In making that work, people are going to have to think about data and analytics in a very different way. Coming from FICO, our heritage on the risk management side and working with banks and other organizations, we are used to data that moves very slowly. Credit bureau information, master file information … You sweep data into a pile, you develop a model, you execute the model and get some predictions about future consumer credit performance or buying habits or whatever, and you apply that learning in a batch mode.” In the Internet of Things era, said Clare, the need will be to learn in real time. He added that while there are insights from the past that you are going to need to draw from about what type of data is predictive, “the fact of the matter is if you are going to have the type of meaningful outcomes that you need or the kind of precision that you are going to need to avoid a real-time accident at the next intersection, you are going to have to learn on the fly.” Clare, who in previous roles has helped businesses manage fraud, risk and the customer experience, pointed to the company’s Falcon Fraud Protection Management System, which is used by 90% of organizations with payment cards. “Fraud evolves very quickly, new fraud patterns emerge. Fraudsters will target banks, ATM networks or individual devices. The software has to learn very quickly how to get ahead of those fraud problems and shut them down. “It is a real-time data stream that makes real-time decisions within milliseconds. We are taking those concepts and we are now applying them to other use cases.” These include an energy management initiative that is currently in beta, which monitor in real-time, data that is flowing in from different entities in a power grid including smart meters and neighbourhood transformers. There is a huge opportunity to make the world a better place. Controls for Retrofit. We Make it Simple. WATTSTOPPER® NEUTRAL SENSE™ WALL SWITCH SENSORS Optional neutral occupancy sensors turn complex retrofits into easy projects. WattStopper sensors can be installed with or without a neutral connection, without any configuration. Choose Neutral Sense products for all of your wall switch applications to ensure out-of-the-box compatibility with existing wiring. To address the specific challenges for highimpact women entrepreneurs in different countries and regions, it takes a holistic approach. YOUR COMPANY DEPENDS ON YOUR PEOPLE. AND YOUR PEOPLE DEPEND ON YOUR NETWORK. Our Blade Gives You the Ultimate Protection. Innovatively designed and extensively tested, Procyon Blade System™ enclosures represent the new standard in fiber connectivity for multibuilding complexes such as hospitals, corporate centers, government facilities and universities. Created to provide superior organization, accessibility and density, the Blade System enclosures and in-line splice modules maintain the highest optical performance over the longest runs. If you’re looking for a solution that is innately suited to support increasing growth for future applications, put our Blade to the test. STRONG. INNOVATIVE. COMMUNICATIONS SOLUTIONS™ . he digital enterprise is arguably the most significant milestone to have hit the business scene since the advent of the Internet Age. Over the past 10 years, the transition to digitization has been dramatic, as enterprises moved from a world of virtualization, consolidation and data warehousing, to one where IoT, collaboration and Big Data have become the underpinnings of a new way of doing business. Even more significant is the fact that all the major pundits are now saying that while technology matters, it is process change that matters more if companies want to compete effectively. there is no inherent value in IoT as a standalone investment. “Without underlying people and process changes, IoT would only make things worse. If you have the people, process, data and things in place, then a business becomes digitized.” “All of those words such as cloud, Big Data and mobile, are simply phenomena equated with a broader digital evolution. The primary force that is driving change is not the technology; it’s a fundamental shift in the business process and model design. In other words, function is now driving form,” says Matt Baker, executive director of enterprise strategy at Dell in Round Rock, Tex. The digital age is rapidly becoming the new normal as the topics of mobile, social , cloud and analytics are permeating conversations in organizations. Denise Deveau is a Toronto-based freelance writer. She can be reached at denisedeveau@bell.net. Leanne LeBlanc, IBM Watson project manager, views analytics of healthcare data. Engineers at energy company Woodside use Watson in a predictive data science initiative. Conditions Of Cognitive Computing So what makes computing cognitive, as opposed to simply a batchprocessed analytics process? Power cites three conditions to call a computing system cognitive. • Its user interface is based on natural language, not business rules. In a cognitive computing environment, a user can ask, “What is the best way to maintain a plant under limited lighting conditions?” A cognitive computing system can parse the question and build its own query to run against its data store, rather than forcing the user to build a query to run against the data. “The cognitive burden is placed on the cognitive system, not on the user,” Power says. • It generates hypotheses, both in terms of what the questioner might be asking, and what the answer might be for each of these. This is the thinking part of cognitive computing. Based on the parsing of the query and the content of the structured and unstructured data store, a cognitive computing system suggests likely answers to the question, which it ranks in terms of relevance and likelihood – confidence-ranked responses, as Power describes them. • It learns from the input and the hypothetical process, developing more acuity and more relevant answers. It evolves through its interactions with users, not by being reprogrammed. If users consistently choose consistently to select or ignore a result, its confidence ranking improves or suffers. and Watson, LifeLearn can work from a veterinarian’s presumptive diagnosis and deliver logical, evidence-based treatment support plans Likewise, Chef Watson was educated – seeded by – by the Institute of Culinary Education. It begins with some research into the culinary trends in various regions. Because of ethnic makeup and various other factors, Toronto got Sri Lankan and Caribbean combination; in Montreal, a Moroccan-Lebanese blend was front and centre. there are aspects of artificial intelligence, in research and perhaps even beyond research, near production… but I’m sure there are others that would debate that response.” If Grech does not draw a distinction between cognitive computing and artificial intelligence, there are distinct approaches to the issue. Consider two movies released this spring: Ex Machina and The Avengers: Age of Ultron. In the former, a skilled programmer wins a weekend at his reclusive (and very Jobsian) boss’s country retreat, where he is tasked with a face-to-face Turing test with a robotic woman who has been programmed to interact with others like a real person, despite her visible mechanics, purring, whirring, and impossibly graceful balletic poise. In the latter, Tony Stark’s Ultron is essential an algorithm in physical form, a blank slate. It wreaks havoc but has no understanding of why; it learns as it goes. If the heroine of Ex Machina is IBM’s Watson, preloaded with massive volumes of data, Google Inc.’s DeepMind is Ultron, although not to suggest that Google is bent on wreaking havoc. The Deep Q Network (DQN) behind DeepMind – the brainchild of British neuroscientist Demis Hassabis – doesn’t have the terabytes of preloaded data. It’s designed to learn through the same experience-reward architecture of the human mind. The breakthrough accomplishment for DQN was learning to play old Atari arcade games – 49 of them – at a higher level than the average human. DQN combined neural networking, which mimics the human brain’s learning process by extracting more and more context at various levels, with reinforcement learning, which causes the algorithm to change the way it behaves based on previous experience. In the case of video-gaming, the only inputs the algorithm received were the pixel maps of the games and the scores. DQN worked out how to play the games based on that, rather than supervised learning, wherein a lab worker corrects the machine to optimize the output. Dave Webb is a Toronto-based freelance writer. He can be reached at dave@dweebmedia.ca. The 10G Termination Kit from Platinum Tools exceeds 10Gig performance standard requirements for streaming high bandwidth across Cat6E, Cat6A, and Cat7 cable, the company says. Now shipping with an MSRP of US$240, the field kit includes Cat6A shielded connectors, the Tele-TitanXg Cat6A crimp tool, cable jacket stripper, and external ground tab crimper. According to the company, “streaming media traffic, whether, data, audio or video, is on a sharp rise and networks are demanding more bandwidth. That means bigger and usually shielded cable, such as Cat6E, Cat6A and Cat7. The connector choice is critical.” www.platinumtools.com. The Greenlee Communications’ AirScout is designed to characterize the Wi-Fi environment, optimize the wireless network setup and produce a simple, on-screen report that a technician can immediately share with the customer. The system goes beyond simple test and measurement by validating a home for Wi-Fi readiness and identifying solutions to solve potential problems. AirScout brings intelligence to the process by measuring multiple locations simultaneously, then using the data to select the best channel and optimum location of the wireless access point. To do this, the system surveys the WiFi environment, produces a heat map, and provides a Quality of Experience (QoE) score. www.greenleecommunications.com. Dell Canada has unveiled the PowerEdge C6320, the latest addition in its 13th generation Dell PowerEdge server portfolio. The company says it delivers up to two times performance improvement on the leading HPC performance benchmark, and has the right mix of cost-efficient compute and storage in a compact, 2U chassis for HPC and hyper-converged solutions and appliances, allowing customers to meet demanding workload needs. The PowerEdge C6320 features the latest generation of Intel Xeon E5-2600 v3 processors and provides up to 18 cores per socket (144 cores per 2U chassis), up to 512GB of DDR4 memory and up to 72TB of flexible local storage. www.dell.ca. Cable manufacturer Helukabel recently launched its new PROFINET plug connector, the Helukat RJ45 Cat5 IP20, which has built-in fast connection technology. The Fieldbus-compatible plug comes in a linear and angled design for industrial use in tight installation spaces. Features include coloured contact elements, which prevents the installer from committing connection errors. The clear labeling matches the wire sequence of the PROFINET standard whose four single wires can be quickly connected. Transmission rates are up to 100 MHz Cat 5. The shielded plug connector comes in a linear, 180° version and an angled, 90° version. Designed to protection grade IP 20, it can withstand operating temperatures of -4 F to 158 F (-20 C to +70 C). www.helukabel.de/ca. Anritsu Company has expanded the testing capability of its portable MT1000A Network Master Pro and MT1100A Network Master Flex all-in-one transport network testers. The enhancements include support of CPRI/OBSAI and RFC 6349 TCP throughput testing, OTN multi-stage mapping for OTU3/4, a remote operation tool, MDIO analysis, an event logging feature with filtering and support of a Video Inspection Probe (VIP). With the enhancements, network managers and field technicians have a singleinstrument handheld solution to test new technologies designed into mobile fronthaul networks, as well as OTN, Ethernet, Fiber Channel and SDH/SONET and other technologies in transport network technologies, the company said. www.anritsu.com. Berk-Tek Leviton Technologies has announced that its CX6850 Cat 6A Premium+ UTP system was successfully tested to deliver 100-watt Power over Ethernet (PoE), enabling the transmission of power and data to a wider range of remote devices. The ability to deliver 100 watts supports emerging PoE standards, such as the draft IEEE 802.3bt (type 4) PoE standard, which is scheduled for ratification in 2017. The CX6850 system includes Berk-Tek LANmarkTM-XTP cable, Leviton Atlas-X1TM componentrated connectors and patch cords and Leviton component-rated 110-style patch panels. According to the company, next-generation powered devices will require greater bandwidth than Gigabit Ethernet and more delivered power. www.berkteklevitontechnologies. com. HP has announced the HP t420, a cloud-ready thin client for task workers in call centre, desktopas-a-service, and remote kiosk environments. It offers a choice of essential operating systems including Linux-based HP Smart Zero Core and HP ThinPro, and Windows Embedded 7.Â HP also announced the new HP mt245 Mobile Thin Client, which is designed for flexible cloud computing on-the-go. The thin client delivers pro-class user features and critical management software at an affordable price, the company said. The Windows Embedded Standard 7E tools, the programs, and the resources are all integrated into the lightweight design with a 14-inch diagonal HD screen. www.hp.com. The Q-Series Cabinet from Legrand is a UL 2416 listed, 19â&#x20AC;? EIA offering for a range of applications, from single racks to small computer rooms and data centres of all sizes. The new cabinet complements the Q-Series family, broadening the offering of physical infrastructure products, the company says. The Q-Series product line-up was first introduced by Legrand last year after its acquisition of Quiktron. The line-up now includes standard EIA racks and cabinets, in addition to existing cable assemblies and connectivity products from Quiktron. For high performance applications, Legrand also offers LX cabinets, Mighty Mo racks, Infinium fiber and Clarity copper. www.legrand.com. New In The Rittal Technology Library As the business processes grow, so does the physical IT infrastructure. The aim becomes to construct and modernize Data Centre infrastructures on a sustainable, scalable, modular & efficient IT infrastructure solution. Rittal’s “The world of IT infrastructures” guide aims to help you understand and determine your needs for your IT infrastructure. This white paper clearly explains what emerging applications are demanding Category 6A, what standards are recommending it, 3 reasons that non-adoption is no longer valid, and 7 tips for choosing the right CAT6A cable. In this quarterly electronic magazine, Siemon provides educational information on high performance infrastructure solutions for Data Centers, LANs and Intelligent Buildings. Featuring the latest new product innovations, industry standard updates, trends, technical articles, case studies and more. Have a look inside the Summer 2015 issue of Graybar Canada’s Advantage flyer at graybarcanada.com/julyadvantage to find features and benefits of new and exciting products carried at a Graybar Canada branch near you. Next time you are at your local branch, don’t forget to ask about Counter Supplier of the Month events and promotions! Do you purchase or influence the purchase of ICT products and/or services for your company? Make no bones about it. Make no bones about it. The CFL535G is truly a technician’s The CFL535G is truly a technician’s new best friend. new best friend. 1-800-297-9688 Promo code CFL535G-CON when ordering. For your FREE booklet on TDR applications, visit us atFREE www.megger.com/getguide. For your booklet on TDR applications, Promo CFL535G-CON when ordering. visit us code at www.megger.com/getguide. 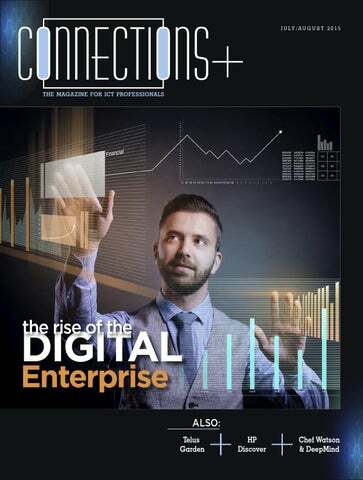 Connections+ is the magazine for ICT professionals.